New York City Stage: What's Hot Hot Hot on Broadway!! What's Hot Hot Hot on Broadway!! 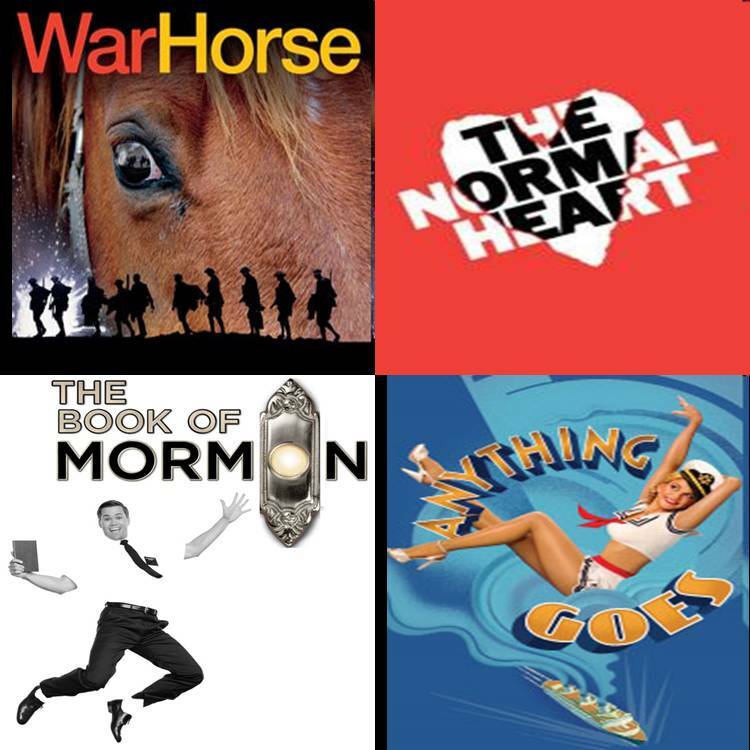 As we move into the last phase of award season culminating into the grand poo-bah of them all - the Tony Awards - on Sunday June 12th, here is a list of what is hot on Broadway based on awards to date and buzz buzz buzz. War Horse, a play on my own Hot List of productions to see, is described as a "galloping triumph" about the bond between man and horse. The Normal Heart is the play revival which left me unsettled. It reminds us of how the AIDS epidemic started in our country. 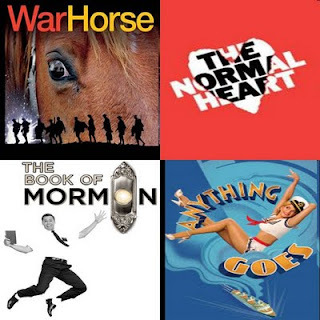 The Book of Mormon is a musical also on my Hot List. The pre-release stream on NPR (not for the faint at heart) had me bobbing my head and hungry to see a big musical. Anything Goes is a musical revival with consistently great toe-tapping reviews. Mark Rylance seems to be one of the hardest working actors on Broadway these days. He stars in the critically acclaimed Jerusalem right on the back of La Bête which only ended in January. Nina Arianda is the actress that I thought gave an impeccable performance in Born Yesterday. All I can say is what a Broadway debut and when do we get more. There is also quite a bit of buzz about Frances McDormand's performance in Good People. Ms. McDormand has already picked up Drama Desk and Outer Critics Circle prizes.